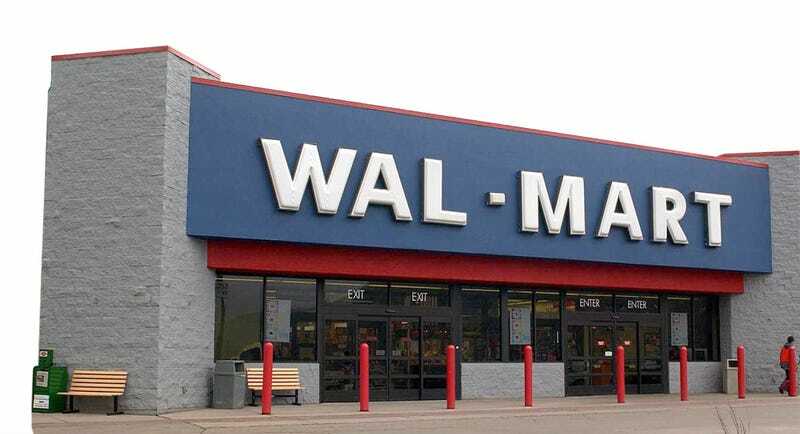 Last month, the Department of Homeland Security announced it was working with retailer Wal-Mart to help protect American towns. What policies is Wal-Mart instituting to make our communities safer? In the bicycle section, sign must be hung that says, "Not to be used as getaway bicycle"
Continuing to refuse to sell incendiary material such as Sheryl Crow's self-titled album, Green Day's 21st Century Breakdown, and George Carlin's book When Will Jesus Bring the Pork Chops? Making everyday prices even lower to drive the terrorists that much crazier!